You may have noticed that the blog has been quite quiet during the last month. 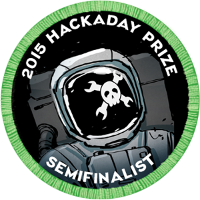 The reason being we were focusing our efforts on doing some epic Watchduino development, as contestants for the Hackaday Prize 2015. Sad news in the end though, as we didn’t make it to the finals. But that’s ok though. Regardless of the result, this has been a good excercise for us, and the contest has pushed us to keep working hard on the Watchduino project. That’s why we want to sum up all we have learned and all we have improved on the project during the course of the contest. 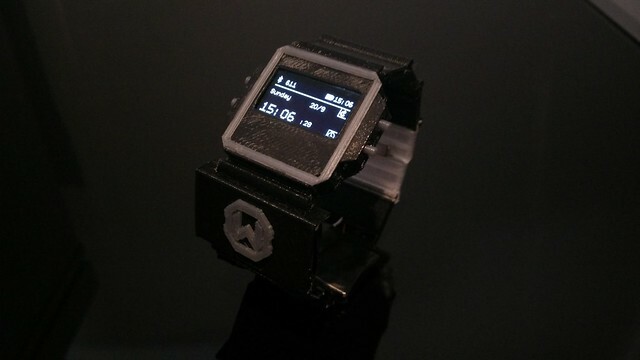 One of the things in our TODO list was to build a proper 3D case for our watch, and thanks to our 3D printer we managed to build a wearable prototype. We also introduced the Smart Strap design which allows us to keep some of the electronic components spread along the strap, keeping the watch face smaller. Our first case design, from a few months ago, was done in Blender, however we’ve now switched to Tinkercad as it’s a great web platform for doing awesome 3D models really quickly. We also designed an additional strap prototype using a flexible strap, that we plan to 3D print soon enough. 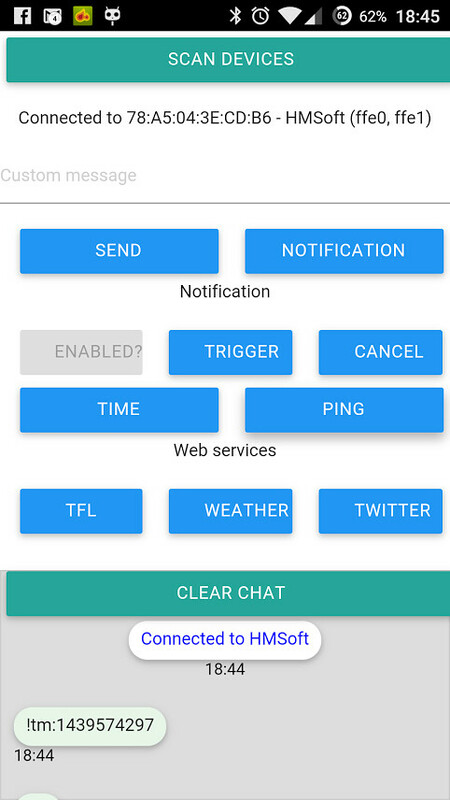 A few weeks before we joined the contest, we started migrating the existing Android companion app, written natively, to the Cordova framework. The reason for this is because Cordova seems a better platform for us, based on HTML5 + JS, and multiplatform. It’s easier and faster to develop with, the codebase is smaller, and in general we are quite happy with it! We finally migrated all the code with a better design by the end of August, and we even introduced new functionality. We made two videos to showcase the capabilities of the watch. One of the requirements of the project was to release our code and build our documentation so everyone can create a new Watchduino from scratch. This has been in our roadmap for ages, so it was a good excuse to clean up the code a bit an make it public. Feel free to clone our project, and to make pull request to improve our own. Be warned though: the codebase is still under heavy development, so things might change drastically from one day to the next! 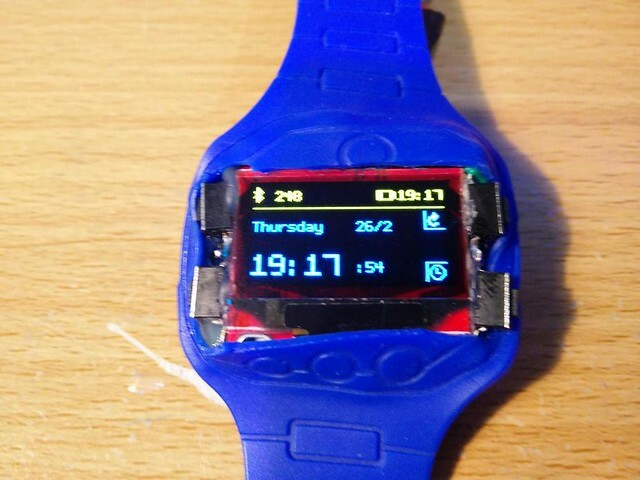 The community also helped us to improve our watch architecture and we are keen on trying different approaches so Watchduino can be even better than it’s now. 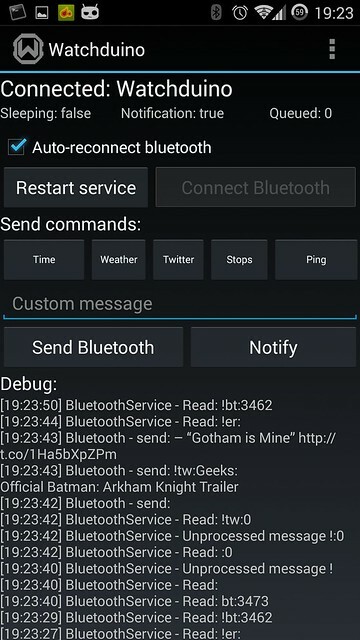 One of the main objectives is to improve the Bluetooth connectivity and the power consumption. Another one is to make an app creation framework that is lean and easy to use. Stay tuned for more updates, are we are definitely not done with our Watchduino development!